If you desire to turn any room into a fun-filled play environment, indoor trampolines are designed to fit inside your home and measure between 3 and 8 feet in diameter. Outdoor trampolines are often larger models measuring 10 to 15 feet that bring the bouncing fun to your backyard. Within the outdoor trampolines category, we will touch on the best trampoline for kids top choices for traditional round trampolines, spring-free trampolines and rectangular trampolines. The whole family can stay active and have a blast when bouncing on a trampoline. Bouncing on a trampoline helps children to strengthen their muscles without placing too much strain on their growing bodies. As a great alternative to sedimentary activities such as video games or television, trampolines are a fun way for kids to exercise while having a blast! The health benefits are endless and kids love to bounce up and down for hours. We understand that it can be time consuming to read through kids trampoline reviews. 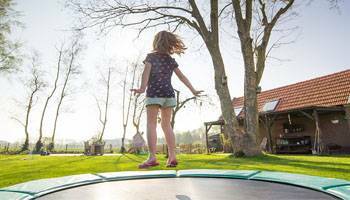 To save you the hassle, Kids Ride Wild rounded up the top choices to help you find a trampoline that will a great fit for your available space. To keep it simple, our buying guide is split into two sections: one section of smaller, indoor trampolines and the second will be all about the best outdoor trampoline options. Inspire your children to dream high and use their imaginations by finding the best trampoline for kids that fits perfectly in your home or backyard. If you are looking for a toddler trampoline, the Original Toy Company Fold & Go Trampoline is a great choice for smaller children. Parents can assemble this trampoline from box to bouncing within 5 minutes, so your child won’t be missing out on any fun! Assembly of this 3 foot trampoline is literally as simply as screwing on the legs and attaching the handle. For added safety, the blue circular pad attaches to the outer ring of the trampoline to protect your child’s feet from getting caught in the springs. This is an ideal toy for special needs children as it the large handle attachment provides added stability for kids to bounce up and down. The unique folding design allows this to be one of the most portable trampoline models for indoor use weighing at only 13.2 pounds. It measures at a diameter of 36 inches and standing height of 34 inches. Despite it’s small size, it can certainly hold up to it’s share of weight and exceeds government toy safety standards. The trampoline will hold up to 150 pounds and is recommended for children ages 3 to 7 years. It is designed purely with safety in mind, adhering to ASTM F963-08 Part 1 & 2 safety standards along with federal government toy safety standards. This trampoline will likely get daily use in your household as it has plenty of bounce factor! What more can you ask for than an indoor toddler trampoline that is safe, portable and full of bouncing fun? >> Check out The Original Toy Company Fold & Go Trampoline on Amazon right here. The Pure Fun Kids Preschool Jumper is an indoor mini trampoline for kids designed for hours on end of worry-free bouncing. This toy is ideal for preschool aged children and is recommended for use for ages 3 to 7. It is super lightweight weighing only 15 pounds which makes it a great addition for any indoor room. Instead of the traditional circular design, this trampoline is in the shape of a square measuring at 36 inches in length and 33 inches in height. Easy to grip cushioning gives kids a firm grip that is not only slip-free but comfortable for long jumping sessions. They will want to keep building their strength and leg muscles while bouncing on this fun toddler trampoline. Parents love having a safe environment for their children that will last for years. Not to mention, it is extremely easy to assemble and requires no extra tools for complete assembly. Kids are excited by the mesh material that covers the springs as it is full of alphabet fun! The spring cover features different colored shapes that adds an educational twist to trampoline bouncing. If your child were to fall on the edge, the frame cover is cushioned to protect your child. With an attached ergonomic safety bar, toddlers can play while developing their coordination and balance.With this trampoline, not only is it certified safe for ASTM, TUV/GS and CE but it is extremely sturdy and won’t shift around on the floor inside. 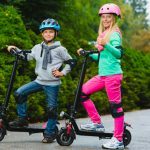 The frame can hold up to 75 pounds of pure kid power! >> Check out Pure Fun Kids Preschool Jumper on Amazon right here. The Little Tikes 3 Foot Trampoline is designed for indoor use and can turn any small space into a bouncing wonderland! Kids up to 55 pounds can safely jump on this kids trampoline with bar as it is recommended for ages 3 to 6 years. 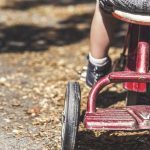 Toddlers need a bit of extra help to stay upright and bounce high without it being dangerous. With a safety bar spans across the entire trampoline surface, this is surely a stable toy for young bouncers! One at a time, your children can jump up on the trampoline surface and bounce up and down. The elastic webbing construction is preferred over traditional springs or bungees as it is safer and lasts for many years. You won’t have to worry about your child’s toes getting caught in the springs or the bungee cords wearing out over time. Little Tikes created the ideal combination of plastic and metal for a durable, long-lasting trampoline. The attached stability bar makes it much safer than a standalone indoor bouncing surface. Gripping onto the black handle is effortless as it is positioned for ultimate comfort and coordination. Toddlers will love burning off energy with the large 36 inch diameter surface with 26.25 inches of jumping surface between the trampoline and the bar. Easy assembly of the trampoline base means that your child will be ready to play in a matter of minutes. If you want to encourage physical activity without feeling like a nagging parent, this toy will do exactly that. Instead of boredom, your child’s face will light up with excitement while bouncing on this Little Tikes kids trampoline! >> Check out Little Tikes Trampoline on Amazon right here. The Pure Fun Super Jumper is a 48 inch baby trampoline with an attached handrail for added security. This toy comes two color options with a cute circular design on the cover: pink for girls and blue for boys. Young children build stamina and agility while bouncing around on the trampoline surface. They won’t even realize the added benefits of improving their flexibility as they will be having so much fun! The ergonomic safety bar is perfectly bent for stability and use by children ages 3 and up. For even more safety, the springs are covered with a cushion to avoid tripping and falling over the metal springs. It is even ASTM, CE and TUV/GS certified for safety which assures parents that this trampoline is an excellent choice for indoor use. Let your child decide where they want to jump and this toy can be put together in just a few minutes. No added tools or parts are required to prepare this toy for hours of entertainment. For independent jumpers, the handle bar can be popped out if needed. Adults under 100 pounds can even use this toy as that is the maximum weight capacity. The forty, 3.5 inch galvanized steel springs provide bouncing power for kids to get massive air! They will surely last for at least several years with the durable springs. 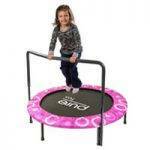 This trampoline is affordable and loads of fun for young children to build stamina. The name of this trampoline represents what it will truly be in your household: Pure Fun! >> Check out Pure Fun Super Jumper: 48″ Trampoline with Handrail on Amazon right here. For parents who would prefer a trampoline with enclosure for their children, The Skywalker Trampolines Round Bouncer is a fully padded trampoline. Ideal for indoor use such as in the basement or playroom, this trampoline measures 48 inches in diameter with a no-gap enclosure net. This means that the toy comes with added piece of mind because the net is sewn directly to the jumping mat which avoids trip hazards for children. For younger children, the handle bar is padded and spans 360 degrees around the trampoline to support their balance while jumping. With a powder coated steel frame, the padded uprights keep the enclosure in place for an all around safe jumping experience. As an added safety bonus, there is a lower enclosure net on this model that prevents kids from climbing or falling underneath the base. Kids can choose from two color options for the padded frame cover: either camo or bright red. Both models have assembled dimensions of 48 x 48 x 56 inches which will fit with-in most standard ceilings. This toddler trampoline with net enclosure is recommended for little bouncers ages 3 to 7 with a maximum weight capacity of 100 pounds. Instead of metal springs, this jumping surface features 30 elastic stretch bands which provide maximum bounce without having to worrying about pinching your child’s feet. Once this trampoline is assembled, kids can enter the bouncer by unzipping the enclosure and hopping in. Kids explore trampoline exercising in a safe environment without having to worry about falling off and hurting themselves. >> Check out Skywalker Trampolines Round Bouncer on Amazon right here. Kids love being able to jump indoors with the Skywalker Trampoline 60 inch Round Seaside Adventure Bouncer. It has a jumping base that measures 5 feet in diameter and 4.9 feet in height. While this may be a small trampoline for kids, there is no shortage of fun with a soft and supportive bounce. The springless design features 36 elastic stretch bands that put parents at ease as they don’t have to be concerned with their kids tripping over metal springs. Let your child learn how to bounce in a stable environment with the 360 degree handle that surrounds the circular trampoline. As they strengthen their muscle and develop coordination, they can let go and jump freely. This indoor trampoline for kids is designed for one or two kids to get extreme air with a overall weight limit of 100 pounds. Recommended for ages 3 to 7, it is a great way for kids to burn energy while trying out new jumps and tumbles. Skywalker Trampolines built a quality trampoline that is both durable and built to last for many years. 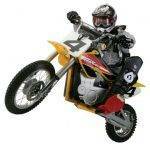 It is also approved for passing all toy standards established by the American Society for Testing and Materials. Instead of a boring black jumping mat, the base is full of colorful screen printed animals including a whale, starfish and dolphin. Your child will enjoy hopping from animal to animal as they play games on the trampoline. The padded enclosure system adds piece of mind for parents with plastic pole caps that secure the net to the uprights. This 5 foot trampoline is the perfect combination of safety and fun! >> Check out Skywalker Trampolines 60″ Round Seaside Adventure Bouncer with Enclosure on Amazon right here. Sportspower’s My First Trampoline is a toddler trampoline with net designed for both indoor and outdoor use. Jumping fun will last all year long as this trampoline can easily be moved inside when the weather gets too cold. The breathable mesh allows parents to watch their kids while they are bouncing within the UV-resistant safety enclosure. The durable springs are covered with a thick protector mat that is surrounded by the netting. No more worrying about elastic bands breaking after years of jumping! Constructed with high quality materials, this trampoline will last for generations of exercise. The enclosure features three arches made from thick steel tubes and the frame also has galvanized steel covered with plastic. No more rusting and plenty of stability to safely hold a maximum weight of up to 100 pounds. Younger kids can enjoy this enjoy the bouncing experience with My First Trampoline as it is recommended for ages 3 to 7. Most prefer it for indoor use because the black mat can heat up pretty quickly in the sun. Whether you pay for expert assembly or assemble it yourself, this toy will be ready for play time in less than an hour. 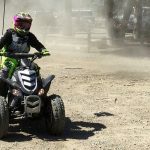 It is a few large parts that need to be connected and it won’t be long until your children are having a blast. Once assembled, it is extremely sturdy for hours of use. Simply unzip the netting and your kids can climb right up onto the jumping mat. This is one toy that your kids will never get bored of! >> Check out My First Trampoline 84″ on Amazon right here. Skywalker Trampolines Jump N’ Count Trampoline with Enclosure is a neat way for your children to build their stamina but have a blast while learning their numbers. The jumping mat has numbered quadrants that are screen printed to encourage creativity and development. Let their imagination bounce in the air as they come up with different games and missions to play on the trampoline. The no-gap enclosure system exclusive to Skywalker Trampolines ensures that the net is directly attached to the jumping surface to keep your children’s feet from injury. Compared with traditional models, assembly and maintenance are a breeze because there is no need to thread ropes through the surface. The springs are completely covered by the UV-resistant pad that is made of thick PVC material. Kids can climb on and off the edges without feeling uncomfortable or worrying about avoiding the springs. Parents can appreciate that this trampoline provides plenty of value as the entire thing is built for a longer life. There are 40 coiled 5.5 inch springs spread around the jumping mat that give a powerful bounce. Kids can bounce as high as their little legs can propel them! With reinforced T-sockets at each leg of the frame, this trampoline is extremely stable as these joints prevent the frame from twisting. This feature also makes for simple assembly or disassembly which is helpful if you want to move it to a new spot in your house. Kids stay inside the dual closure system while jumping and when they are ready to get out, parents unclip the latch and unzip to open the net. Chances are you will have to almost beg your child to get finished jumping with this fun bouncer! >> Check out Skywalker Trampolines Jump N’ Count Trampoline with Enclosure on Amazon right here. The Skywalker 8-Feet Round Trampoline features a sturdy enclosure for a safe bouncing experience. Parents love the added safety of the button hole feature that secures the net directly to the jumping surface. It is much easier for kids to climb up with a 21 inch high surface which is lower and easier to access compared with other 8 foot trampolines. This trampoline measures 6.5 feet in total height with the enclosure uprights with a circular diameter of 8 feet. Kids enjoy having more room to bounce and learn jumping tricks indoors. This model is recommended for ages 6 and up, although many parents have supervised younger children jumping on the trampoline. The maximum weight limit is 150 pounds which means several kids can have a blast playing together. This trampoline with enclosure comes in both blue and green versions with the colored safety pad protects little feet and hands from getting caught in the springs. The padding is extra thick with a 1 inch UV resistant pad for superior cushioning and durability. With 56 of the 5.5 inch springs spread around the trampoline surface, this bouncer gives a powerful bounce for jumping fun! While it is mostly intended for indoor use, the frame is rust resistant and galvanized to help to extend it’s life. As added assurance for parents, the enclosure is framed by four uprights padded with cushioned material. Skywalker Trampolines truly went above and beyond to design a high-quality family environment for kids to get exercise and entertainment. >> Check out Skywalker 8-Feet Round Trampoline with Safety Enclosure on Amazon right here. The Pure Fun 8-Foot Trampoline will be a blast for your children to bounce around within the mesh enclosure netting. This trampoline is built for strength and durability with a rust-resistant iron frame. With T-section reinforcements, this model is will be a sturdy jumping environment for many years to come. Parents don’t have to worry about the trampoline shifting around or wobbling while in use. Enhanced stability of the W-shaped legs can be attributed to the 8 contact points that keep the trampoline firmly in place. Perfect for smaller yards, this trampoline is full of excitement for all ages! Kids love the added bounce of this trampoline as the high performance springs provide a much deeper bounce than similar round trampoline models. There is certainly no shortage of protection with a thick PVC cover over the frame and foam padding over the metal springs. Not only is there an increased landing area but kids won’t get their feet caught in the springs when climbing on and off the trampoline. The trampoline meets ASTM safety requirements making it a certified safe toy for kids to bounce on. The jumping mat is designed for outdoor use with weather resistant material that is sure to last through rain and snow. Parents love the simple assembly as there is no drilling or extra tools required. The trampoline can be put together in less than a few hours and your children will be ready to jump aboard for playtime! >> Check out Pure Fun 8-Foot Trampoline with Enclosure Set on Amazon right here. If you want your children to experience jumping fun outdoors, the JumpKing Outdoor Trampoline and Safety Net Enclosure will be a great fit for your backyard! With a maximum weight limit of 200 pounds, this trampoline has plenty of bounce factor for multiple children. This 10 foot trampoline is designed with a sturdy frame and patented enclosure system which will last for many seasons of play. The top rail frame system is curved to keep the uprights away from children bouncing. With a kid-friendly enclosure zipper, kids can open and close it on their own. Kids like being able to independently jump up on the trampoline and have a blast! The springs are amazingly quiet which makes it enjoyable to watch your children jumping in excitement without an annoying squeaking sound. Considering the 10 foot size, this trampoline doesn’t take long to assemble and in-cludes a set of straightforward directions. Parents can easily assemble the trampoline within an hour or two and it can be used either with or without the enclosure net.The circular jumping mat connects to the frame with 56 count of 5.5 inch springs to deliver a consistent bounce for children of all sizes. You won’t have to worry about the springs being exposed as this trampoline includes a blue cushion to place around the diameter of the jumping mat. The frame is extremely sturdy with “W” shape legs that give it additional safety and stability. The galvanized springs and steel frame are rust resistant and capable of withstanding outdoor weather elements. Outdoor play will never be boring with this ultimate combination trampoline. >> Check out JumpKing Outdoor Trampoline and Safety Net Enclosure on Amazon right here. The Skywalker Trampolines 10 Foot Round Trampoline and Enclosure is a popular outdoor trampoline for kids ages 6 and up that will be a great addition to your backyard. If you have a smaller backyard or play area, the 10 foot diameter will fit in perfectly with some room to spare. With a 175 pound weight capacity, this trampoline is ideal for 2 to 3 kids to play on. Not only is it compact in size, but features top of the line safety features including a steel frame construction and stay-put enclosure system. To provide added stability, reinforced T-stocks are placed in each joint of the frame. Even after years of withstanding the outdoor elements, this trampoline will remain intact with 64 count of galvanized 5.5 inch springs. Of course if you want to keep it in pristine condition, it is best to purchase a trampoline cover. You can choose a color option that best fits your child’s preferences. The outdoor trampoline comes in three different options for the UV-resistant spring cover includes blue, green and purple. The padded cover boasts a 1 inch thick foam to make climbing on and off a comfortable experience for kids. The jumping mat is attached directly to the net enclosure to eliminate gaps. Compared with other enclosure attachments that use threaded ropes, this enclosure is much safer because little hands and feet don’t slip out of the net. Parents are thankful for the safety features and love seeing their kids run and bounce without falling off the trampoline. >> Check out Skywalker Trampolines 10 Ft. Round Trampoline and Enclosure with Spring on Amazon right here. Designed for outdoor use only, the Ultega Jumper allows kids ages 3 and up to get massive air while jumping. The instructional guide even suggests 5 different jumps for both children and adults to develop balance and agility. There is a premium mesh net surrounds the jumping space to keep bouncers inside while jumping. With 8 padded poles to secure the net, you can be assured that this model is built for maximum safety and comfort. The UV coating on the jumping mat prevents it from overheating during the hot summer months so kids can play without burning their feet. Ultega crafted this trampoline to the highest quality standards with double-footed steel legs for a stable base. Kids will enjoy super bounciness and added protection of this trampoline. >> Check out Ultega Jumper Trampoline with Safety Net on Amazon right here. With the Skywalker Trampolines 12-Feet Round Trampoline, your backyard will never be the same. Both kids and adults can join in on the jumping fun with extra bouncy metal springs and a mesh enclosure net. This trampoline is designed for outdoor use with a durable frame that is rust resistant for years of fun! The steel frame is also very sturdy and will stay in place while in use. Reinforced T-sockets are welded to the enclosure upright to add to the stability of the net by eliminating structural twisting. Parents can be assured that this trampoline is reliable with a total of 6 W-shaped legs to support the weight of the structure and several children on the jumping mat. Assembly can be completed in a few hours, so it won’t be long before your child is full of joy. You can either join your child for the low impact exercise or watch them from your lawn chair through the see-through mesh. No need to worry about injuries from falling off the trampoline as the enclosure net uses the Stay-Put feature to attach the jumping mat directly to the netting. Kids build their coordination and agility while safely jumping on this large trampoline. The UV resistant materials in the mat and spring cover help to keep it cooler and more durable when outdoors in the hot sunshine. You can choose from a wide variety of color options for the cushioned spring pad including blue, green, camo, purple and red. With the ability to customize your choice to your child’s favorite color, this trampoline is sure to be a top contender for the best trampoline for kids. >> Check out Skywalker Trampolines 12-Feet Round Trampoline and Enclosure with Spring Pad on Amazon right here. The Exacme 6W Legs Trampoline is an all-in-one combination trampoline that comes fully equipped with a safety pad, enclosure net and ladder. Fully assembled, the size of this trampoline is 12 x 2.8 x 8.2 feet. With a maximum occupancy weight of 398 pounds, multiple kids and even adults will be able to enjoy getting exercise. One way that this model can accommodate more weight than comparable 12 foot trampolines is the 6 W-shaped legs that feature 12 contact points for additional stability. With a heavy duty frame constructed of rust resistant galvanized steel, this trampoline with net will hold up to outdoor conditions for many years. Not only is it built to last, but this model will keep your children safe while climbing up the ladder and bouncing inside. Exacme takes safety seriously as all of their trampolines are TUV certified in addition to GST and UV testing approved. Your backyard play environment will be complete with endless jumping and tumbling with the Exacme trampoline. The trampoline comes in 3 boxes, simply open the boxes and assemble the frame and enclosure. It is easier to install if you have at least one other person to help due to the large size. The net enclosure attaches to the trampoline with thick straps and ropes to keep it from shifting while kids are inside. Kids trampoline reviews rave about how secure this enclosure is compared with other models. You can’t go wrong with a safe and exciting way for the whole family to exercise! >> Check out Exacme 6W Legs Trampoline with Safety Pad & Enclosure Net & Ladder All-in-One Combo Set on Amazon right here. Skybound Cirrus 14 foot Trampoline features a full enclosure net system that promotes an active lifestyle for kids ages 6 and up. The lightning-quick enclosure system installation is patented for parents to easily install the trampoline. You can forget about using a bunch of small screws, pole caps or bolts as the innovative push pin design Kids will be ready to bounce with their friends in no time. As a parent, you want a trampoline with net that will stay in place and last for many years. The enclosure is a top of the line, high-density netting that is backed with a 10-year warranty which assures you that it is engineered for durability. You will appreciate the premium features that make the Skybound Cirrus a great jumping environment for your children. The two-piece spring pad is a thick blend of PVC and foam that is strong enough to withstand frequent use. The blue safety pad covers the springs and is both weather resistant and has an anti-bacterial coating to ensure it’s longevity.The jumping mat is connected to the frame with 72 count of premium steel spring. No need to worry about corrosion and rusting as the springs are cold dipped in ionized zinc. The 6 W-shaped legs will keep this trampoline stable for kids to bounce for hours on end. It will stay in place and meets or exceeds U.S ASTM Trampoline Safety holding a maximum weight of 220 pounds. If you have multiple kids, this 14 foot trampoline will surely inspire your kids to exercise and burn off energy. >> Check out SkyBound Cirrus 14 ft Trampoline with Full Enclosure Net System on Amazon right here. The Exacme TUV Approved Trampoline with Safety Pad is a large 14 foot trampoline that includes both a safety enclosure net and attachable ladder. Kids trampoline reviews assert that the stability is much better with this model as it features 6 W-shaped legs with 12 contact points. Most trampolines in the 12 or 14 foot size have only 4 or 5 legs to hold it in place. More stability means a safer trampoline for kids to jump on! It is super easy to assemble for parents who prefer to do it themselves. Although there is the option to pay an added fee for expert assembly. Either route you choose, the trampoline will be up and ready to go for playtime in less than a few hours. It comes in 3 different boxes for easy organization and once assembled, the blue PVC cover attaches to the top to protect your child’s hands and feet. The ladder makes it convenient for kids to come up the steps instead of having to climb up from the ground. If safety is a priority, parents will be fond of the fact that all Exacme trampoline are TUV certified along with GST and UV testing approved. Compared with traditional welded trampolines, it is much stronger and safer as it is constructed with galvanized steel tubing. The 72 pieces of 7 inch screws attach the mat to the trampoline frame to deliver a super powerful bounce for both kids and adults. With a maximum weight limit of 398 pounds, this is a great environment for the entire family to play. >> Check out Exacme TUV Approved Trampoline with Safety Pad & Enclosure Net & Ladder on Amazon right here. The SkyBound Stratos Trampoline with Full Enclosure is a premier choice for kids to experience amazing heights while bouncing in a safe environment. The enclosure net system is easily assembled with an exclusive push-pin technology which eliminates the need for bolts, screws and pole caps. Instead of the industry standard of 6 or 8 enclosure uprights, this 14 foot trampoline uses 12 poles to secure the enclosure system. This means the enclosure offers additional support and can withstand much more impact than other systems. All Skybound trampolines either meet or exceed U.S. ASTM standards which is accompanied by an industry leading warranty. The manufacturer truly stands behind the quality with 10 years of warranty protection on the frame, 2 years on the mat, 1 year on the springs and net and 6 months on the pad. This trampoline will exceed your expectations with gold zinc springs to add to your child’s bounce and prevent rust from outdoor weather conditions. The springs are 8.5 inches in length which is longer than the 7 inches offered in other 14 foot trampoline models. The longer length means that the trampoline will be more resilient to impact and repeated use. With a proprietary blend of pole foam and vinyl PVC materials, the spring pad and enclosure poles can withstand high UV levels from the sun. Kids love having extra power in their bounce, not just for a few months but for many seasons of play. >> Check out SkyBound Stratos Trampoline with Full Enclosure Net System on Amazon right here. The Zupapa 15 Foot Trampoline with Enclosure Net is a large trampoline that will accommodate exercise for the whole family. This TUV certified trampoline adheres to the highest levels of German quality and safety standards. All Zupupa products are carefully examined by the TUV German organization to ensure they are free from hazards and will be a safe environment for your children to bounce. This model has 108 galvanized springs that measure 7 inches in length. This is a higher amount than most other 15 foot trampolines that only have 96 which means higher jumping and ultimately a longer life for the trampoline. Kids won’t get tangled in the springs when climbing up as the 20-mm thick PVC foam pad covers them for added protection. This trampoline will arrive with everything you need to get your children ready for jumping. You won’t need to drill any holes or buy any additional tools which will be a signifi-cant time saver. The instructions are straight-forward and this product is easy for parents to assemble. Parents will admire the high quality materials and kids will be thankful to not burn their feet on the UV-protected jumping mat. The structure is designed to prevent twisting and shifting which makes it extremely safe for hours of fun. The net pools are longer with added joint support to keep the net in place when children are roughhousing in the trampoline en-closure. With a 375 maximum weight capacity, plenty of kids can laugh and jump around on this large trampoline. >> Check out Zupapa 15 Ft TUV Approved Trampoline with Enclosure Net on Amazon right here. In search of a large, round trampoline with plenty of safety and durability features? The Skywalker Trampolines 15-Feet trampoline is an excellent choice for kids 6 and up to have a grand time in an enclosed bouncing paradise. You will have a flexibility to choose from 4 different color options for the spring pad including blue, camo, green and red. The covers are made from thick foam that protects children from injuring themselves as a result of the 96 metal springs. Designed for outdoor use, the frame is constructed from galvanized steel that is not only heavy-duty but it is rust resistant. Kids will love being able to revisit their favorite play environment over and over again even after bad weather days. Skywalker Trampolines takes pride in their unique enclosure system that keeps children from getting caught in ropes or straps. The gap free design of the enclosure attaches the jumping mat to the netting using a button-hole feature for an extreme secure hold. Whether your child are expert jumpers or may occasionally take a tumble off of the edge, this trampoline will keep them protected from falling. With such a reliable safety system, you will want to keep this round trampoline in your backyard for a long time. This trampoline was manufactured in compliance with applicable safety standards as it meets or exceed U.S ASTM requirements. With a larger sized backyard, your children will love to explore their muscle strength and active imaginations on this 15 foot trampoline. >> Check out Skywalker Trampolines 15-Feet on Amazon right here. For advanced jumpers or multiple kids, the Skywalker 14-Feet square trampoline offers much more surface space then traditional round trampolines with 14 or 15 foot diameters. The total dimensions of this trampoline is 14 x 14 feet which is plenty for your little bouncer to perform tricks and play games with their friends. The larger surface is great for more advanced jumpers to condition their skills. Sturdy construction is evident in this trampoline model as the heavy steel frame has t-socket in each frame and enclosure joint. This keeps the structure from twisting and shifting while children are jumping on the mat. For your kids, this means they will be able to bounce around freely while the trampoline stays in place. If you want something that is safe enough for gymnastic tumbling and rough housing, this square trampoline has Skywalker’s enclosure design with the button-hole feature to elim-inate gaps. No ropes or straps need to be threaded which means your child won’t be slipping through the gaps between the netting. The springs are large for a high bounce for kids of all sizes. Parents love the fact that they are rust resistant to last for many seasons of adverse weather. The spring cover has UV resistant materials to protect it from the sun. Kids will be begging to go outside and play with nice weather as this trampoline is packed with fun! >> Check out Skywalker 14-Feet and Enclosure on Amazon right here. The JumpSport 10 x 17 foot Staged Bounce Trampoline is rectangular trampoline that comes fully equipped with a safety enclosure. If you are looking for a big trampoline with massive bounce factor, this model will be perfect for your little gymnast. It features a patented Staged Bounce technology which activates 50% of the springs on contact and which will give your child much more air and excitement. This feature also fosters a more resilient jumping environment. JumpSport created this trampoline with safety as a top priority, it is designed to reduce the risk of jumping injuries. The bright blue padding over the springs provides PVC cushioning around EPE closed cell foam for added protection. This model is well worth the investment and is even backed by a 10 year warranty on the frame. Kids will be able to bounce, flip and tumble with confidence as the safety enclosure has shock absorbing poles to rebound upon impact. Parents can put their minds at ease with a Triple-Fail-Safe engineered enclosure to hold the net in place. Compared with other enclosures, this trampoline has a much more sturdy structure for an all around safe experience for gymnasts and experienced jumpers. The powder coated finish is tough against all weather conditions which assures you this is a trampoline built to last for decades. The maximum weight limit is 225 pounds which means that this model can accommodate multiple children or even adults. Advanced jumpers love this trampoline as it a great environment for training and developing their skills. >> Check out JumpSport 10′ x 17′ Trampoline with Safety Enclosure on Amazon right here. Springfree Trampoline’s 13ft Jumbo Square Smart Trampoline is an outdoor trampoline haven for kids who love to hoop. The springless design attaches the jumping mat to the frame without any metal springs. The frame is well beneath the surface so kids are completely protected while entering and exiting. No springs and a hidden frame means safer and worry-free jumping for kids of all ages! This model comes with a FlexrHoop basketball hoop for kids to jump up and toss the ball inside the hoop. The Tgoma accessory tracks movements for state-of-the-art gaming can be purchased separately for the full interactive experience. With the smart innovation and digital play system, this is sure to be a prized jumbo toy for your children! Kids love to invite their friends to play on this smart trampoline as it is rated for a total weight capacity of 220 pounds. Parents recognize that this trampoline is constructed of quality materials with a galvanized steel frame that is resistant to all types of weather. Leave it outdoors and you won’t be concerned with rusting or sun damage. Both the polypropylene nets and mets are UV resistant to keep the heat away during the summer months. Kids can play all year round and have a ball for hours with the interactive activity. It even comes with a FlexrStep ladder that makes it easy for children to climb on and off the trampoline. This spring-free trampoline is action-packed for kids who love to game! >> Check out Springfree Trampoline on Amazon right here. The best trampoline for kids is a combination of safety, reliability and fun! Here is a guide to the factors that you should consider when choosing a new trampoline for your home. The amount of space you have in either in your backyard or in your home will be one of the most important factors in choosing a trampoline. You want to select a model that will fit within your designated space and leave at least a small amount of room for other types of play. At minimum, your play space should allow for a few extra feet on each side. For example, if your backyard is smaller and measures 16 x 16 feet, it would likely be best to buy a 10 or 12 foot diameter trampoline. While a 14 or 15 foot trampoline would still fit in the area, kids will have more room to climb up on the trampoline. There are several different shapes for trampolines, each with it’s own qualities that make it best for specific experience levels. Based on how your family will use the trampoline, you can decide on a shape that best fits your family’s needs. Round shaped trampolines are certainly the most common shape for both indoor and outdoor use. Parents often choose round models as they are safer because injuries are less common with the circular spring pattern. The bounce is less powerful when compared with rectangular and square trampoline and users jump toward the middle of the surface. Rectangular trampolines are designed for more advanced skill levels because they have an extremely powerful bounce. If your child is a gymnast or experienced with acrobatics, this type of trampoline will give them the space and bounce level that they need. Keep in mind that rectangular trampolines may have more jumping space but they also will take up a larger area in your yard. Square trampolines are a blended combination of round and rectangular shapes as they have a larger jumping space and more bounce than a round version. For kids who want to bounce high, a square trampoline can be a good choice for loads of fun without sacrificing safety as most come with the enclosure net. When choosing from different sizes of trampolines, you need to keep in mind who will be bouncing on the trampoline as the jumping surfaces often have a maximum weight to carry. Many toddler trampolines can only hold one or two children because of the smaller surface size. In contrast, large models 12 to 15 feet in size often can accommodate several hundred pounds which means both adults and children can jump. If you have 3 or more children that will be jumping, it is best to look for a trampoline larger than 8 feet. Try to allow a buffer when it comes to the weight limit to allow your children time to grow. For example, if you have two children that weigh 50 pounds each, it would make more sense to get a trampoline rated for up to 150 pounds instead of only 100. If you buy a traditional round or rectangular trampoline, most models come with a spring cover to make the trampoline safer. The spring covers can be PVC or plastic material and some even have cushioning or foam for added protection. Springless trampoline are the safest type of trampoline because they don’t use metal springs that can cause injuries to children. With no hard edges or springs, kids can bounce worry-free! 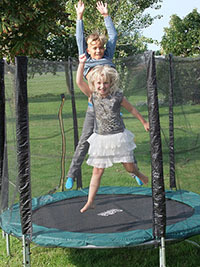 Another popular safety feature for trampoline is the net enclosure that keeps kids from falling off of the jumping mat. Take note of how the enclosure net is attached to the frame as to whether there is space between the two or it is designed with no gap. When there is no gap, it keeps your child from getting their feet caught in the straps or ropes that are threaded through the net. If you want your child to be able to easily climb on and off the trampoline, you can search for a trampoline that includes a ladder. Universal ladders can also be purchased separately if the model you are set on does not include it in the package. Not only is jumping a great alternative to sedimentary activities, but there are many benefits that can be derived from bouncing on the trampoline. Buying a trampoline is an excellent way to introduce balance and coordination for toddlers while building stamina and agility for older kids. Toddler trampolines often have handle bars that are specifically designed to improve your child’s self confidence and prepare them for independent jumping. Larger trampoline models often have more bounce factor for kids to learn different tricks and jumping techniques. Enhancing spacial awareness and learning ability for your children will be an integral part of their development while they are engaging in a fun activity. For children who play sports such as cheerleading, gymnastics or snowboarding, trampoline jumping can be a great addition to their training routine. Kids thrive on the stimulation and excitement that they get from bouncing and playing on the jumping mat. 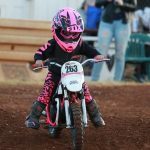 Encourage your children to be active without having to beg them to exercise! You will want to choose a trampoline that is appropriate for the ages of your children. Toddler trampolines smaller in size are generally recommended for ages 3 and up, while some have a maximum age limit such as 3 to 7 years old. 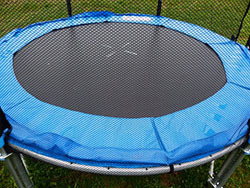 Many larger outdoor trampoline such as 12 foot and 15 foot models have higher age ranges such as 6 and up and are not appropriate for small toddlers. If your child is approaching 6 years old, it would be more appropriate to purchase a 10 foot or larger trampoline instead of a smaller diameter trampoline that they will outgrow in just a few years. When it comes to the structure of the trampoline, you will want to look for legs that are built to keep it in place. Some models have W-shaped legs that offer added stability for larger trampolines. Trampolines with enclosures often require added support to keep the frame from shifting or twisting while in use. Certain trampolines have reinforced t-sockets or joints that adds to the sturdiness of the overall structure. Durability is also a major consideration as you want something that will last for years, especially if you are purchasing an outdoor trampoline. Several features that extended the longevity of a trampolines life include a galvanized steel frame and UV-resistant spring cover. Galvanized or coated steel is ideal as it is extremely sturdy and able to withstand weather conditions without rusting. You should look at kids trampoline reviews and how they rate the ease of assembly. Trampolines are a large piece of equipment and can range in assembly time from a few minutes to several hours depending on the structure. If the assembly seems too complicated for your skill level, you can always hire a professional for expert installation. Fuel your children’s love for leaping with a trampoline toy. Kids develop their motor skills and burn off energy without seeing it as a chore! Now that you know about what to look for when buying a trampoline, you can decide on the best trampoline for kids! Bring the excitement to life in the comfort of your backyard or indoor play space with the bouncing fun of a trampoline.